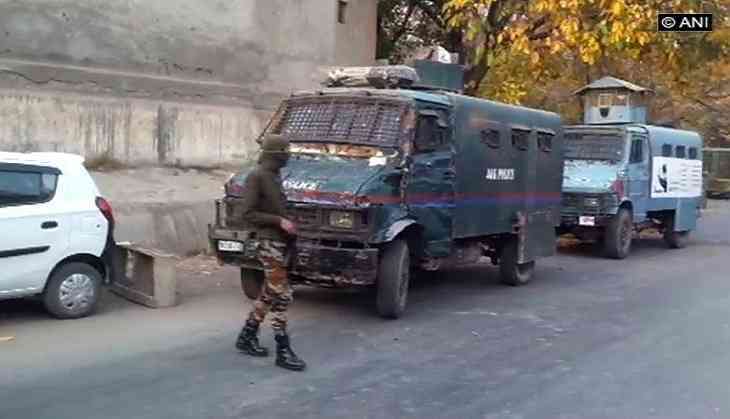 A group of terrorists on Saturday hurled a grenade at the police party Special Operations Group (SOG) camp at Imam Sahab in Jammu and Kashmir's Shopian. The militants managed to flee from the spot soon after the attack. Sources said that no one was injured in the attack. Additional Security forces have been rushed to the spot, who launched a search operation to nab the attackers. Meanwhile, another terrorist group attacked a police station in Jammu and Kashmir's Rajpora in which two police personnel were injured. The area has been cordoned off as heavy firing between the police and terrorist is still on.